This is our first foray into working directly with the City of Seattle. 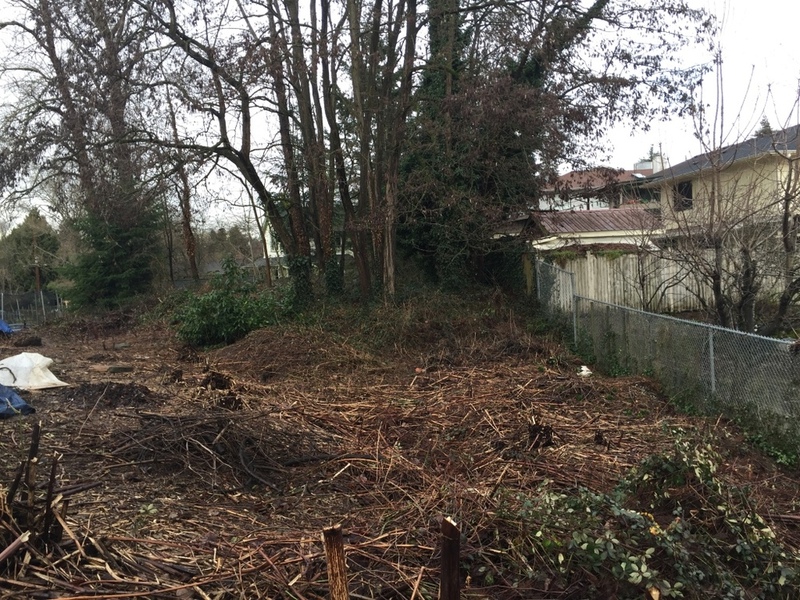 Wetmore Ave S dead ends into a previously undeveloped Right of Way owned by Seattle Department of Transportation. The Moore family are long time residents who asked Alleycat Acres to help create a farm in this space. 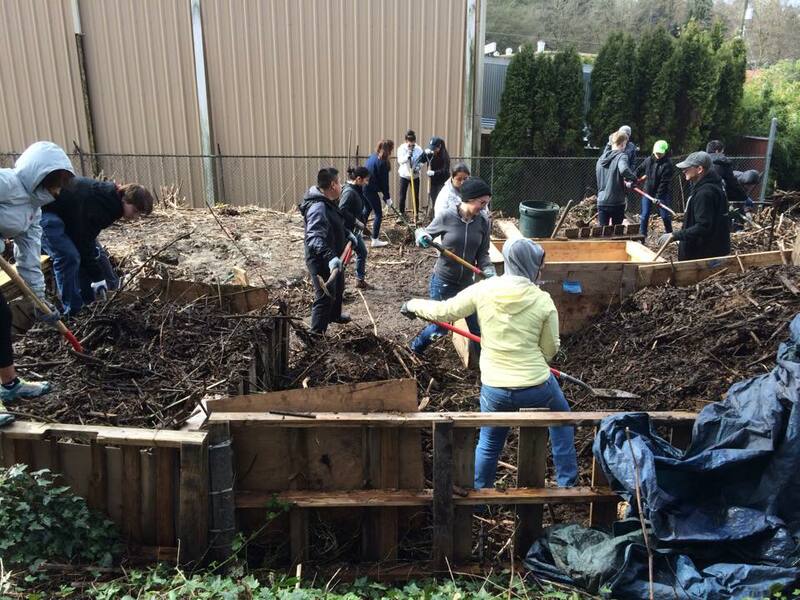 We recruited community members from Senior Housing Assistance Group, Rainier Valley Food Bank, Homesight WA, and the Estelle Street P-patch to help design the space. 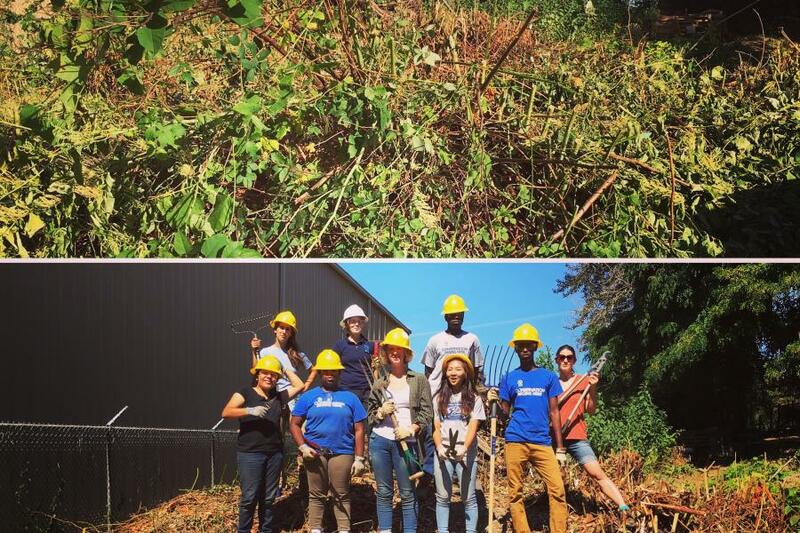 We started by working to clear the site of invasive species, primarily a huge overgrowth of Japanese Knotweed, and earth moving to create an accessible entrance and garden beds on S Spokane Street. Between 2015-2017 we cleared over 10,000 square feet and 2 tons of trash! This summer, construction is complete, and we are under way growing our first veggies! Come by to pick some for yourself or learn more about the farm - and let us know what you'd like to see and do together with your neighbors here. Visit us during open hours each Wednesday from 4-7pm! Rainier Valley Food Bank Our mission is to nourish with good food, empower with knowledge, and serve with compassion. SHAG (Senior Housing Assistance Group) Our mission is to provide sustainable senior housing and to improve the lives of seniors. We remove barriers to living independently and help our residents enjoy life by providing: a stable, safe and welcoming home, a community of shared interests and caring friendships, services that support independence and unique needs. 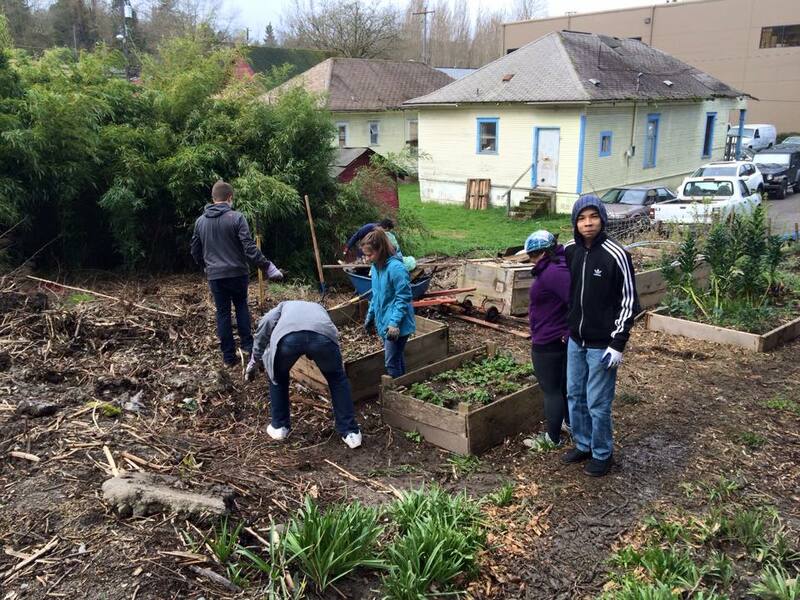 This project is funded in part by a Neighborhood Matching Fund award from Seattle Department of Neighborhoods. Tools and hardware for this project were provided by a generous donation from Fiskars.